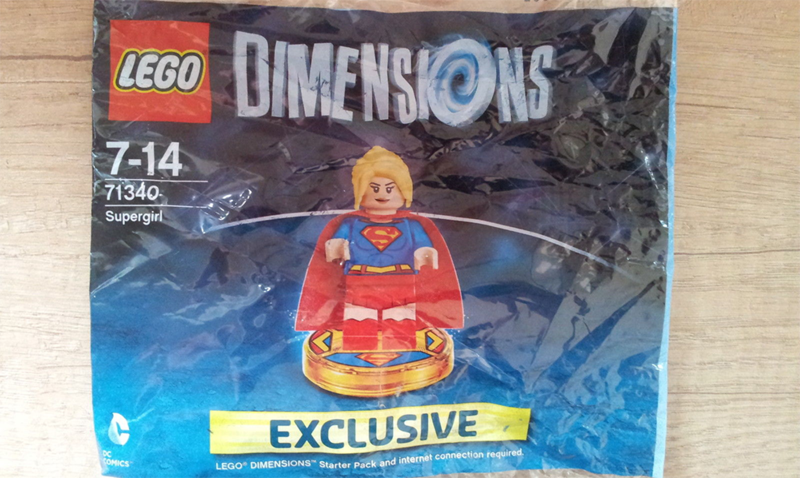 A week ago the packaging for the heavily rumoured Lego Dimensions Green Arrow figure surfaced that was in a poly bag instead of the traditional box, and now the also rumoured Supergirl figure’s packaging has also made its way online. Like Green Arrow, the yet to be formally announced character comes in a poly bag yet her packaging loses the word “Limited Edition” and substitutes it with “Exclusive”. What does this mean? Probably with E3 next month it indicates that it will be an early release that will be handed out to press at the event with a hopeful release later as either part of Lego Dimensions 2 or a new level pack and hopefully not something exclusive to E3 show goers.